Baby Chicks are back in stock at Wells Brothers Pet, Lawn & Garden Supply. We’ve got Buff Orpington and Ameraucana chicks in-stock and ready to go home with you! All our chicks are pullets, with 90% accuracy and sell for $5.50 each. Pick up a couple and have fresh eggs before you know it. Buff Orpington chickens are a quiet bird with a beautiful buff color. They will lay lots of nice brown eggs! Araucana/Ameraucanas chickens (pullets) often called the Easter egg chicken. They lay colored eggs: blue, green, pink and olive drab. These birds will vary in size and color. New to raising chicks? 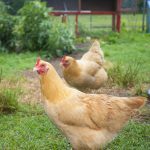 Sign up for our Raising Back Yard Chickens Workshop happening on April 9, 2019. 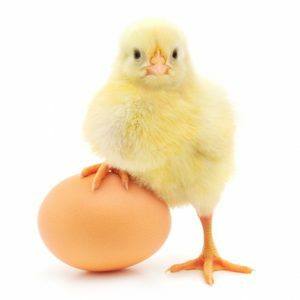 Get all your baby chick and chicken supplies at Wells Brothers Pet, Lawn & Garden Supply in Plano, Texas. We have everything you need to raise healthy chicks including chicken hutches, feeders, fencing, waterers, heat lamps and more! 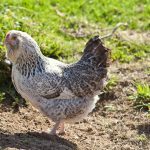 We carry starter feeds, regular chicken feed and organic, non-GMO chicken feed. Stop by and talk to our experts about your flock. Our educated employees can help you choose the right products and feed to keep your flock healthy, happy and productive. For questions about availability, quantities, and varieties of chicks, please call Wells Brothers Pet, Lawn & Garden Supply at (972) 424-8516. We look forward to helping you raise a happy, healthy flock.